Conference Registration: All conference registration will be done online this year! You may still pay by either credit card or check. Registering online will generate an email receipt with all your registration information. Submit this receipt to your bookkeeper or boosters club or keep it for your tax records. If paying by check, mail a copy of this receipt with your check (made out to LMEA) to Sharon McNamara-Horne, 18449 Hosmer Mill Rd., Covington, LA 70435. If you have any difficulties with any part of this process, email me at sharon.mcnamarahorne@gmail.com. Login required for members’ conference registration: To increase your privacy in the conference registration process, this year we are requiring members to login first. If you have not accessed your LMEA/NAfME account, please do it ahead of time. The first time you login, click “Sign Up.” Enter the email you use to renew your membership and a password of your choice. You’ll receive a verification email and will need to click “Confirm Your Account.” Done! Please don’t wait until a deadline is looming to set this up in case there is a glitch. NAfME’s member services has been addressing and fixing problems very quickly, however they are not staffed 24/7. If you cannot get a problem resolved, email me and I’ll try to help you work through it. If your email has changed recently, you’ll need to email memberservices@nafme.org to have them update their records before the login process can be completed. New non-member conference registration option: If you are not a member of LMEA/NAfME, we still want you to be able to attend the professional development conference. We have a new non-member registration available which does not require a login. That fee is $80. You will continue to receive the CLU certificate for professional development hours to bring back to your school. My new email: sharon.mcnamarahorne@gmail.com. Don’t hesitate to email me if I can help you in any way. Plans are in place for the LMEA Professional Development Conference, hosted at the Crowne Plaza, Baton Rouge, November 16-20. Each aspect of the event promises first-rate presentations: Clinic sessions, numerous meetings, exhibits, and superb all-state student groups. I trust that the start of your school year has been a productive experience. Check the website – lmeamusic.org – for the latest schedule of activities and make your plans to be involved in conference activities that will motivate you to build on the foundation you’ve begun this year. We now have options for registration online for directors and all-state students. We also have a Non-Member registration fee. Each attendee must pre-register in order to have a badge prepared at the on-site registration desk. A highlight of the conference is the opportunity to recognize the accomplishments of young music educators, seasoned professionals, and supportive administrators. This year’s line-up of honorees is impressive. Awards are presented throughout the conference at the beginning of student concerts. Be sure to check the conference program for specifics. Over 50 clinic sessions are designed to support music educators in their role of inspiring students to learn to sing, to move, and to play music. Our exhibits provide a platform where music education professionals gather to network with industry and with each other. Auditions, rehearsals, and performances allow our students to develop professionalism in their craft. University booths provide students with valuable information about choices for higher education in the field of music. All this culminates at the conference for five days of exciting, energetic involvement in ‘all things music.’ I anticipate your presence. Votre présence nous fera Plaisir! 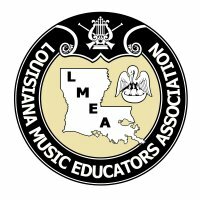 Carol Lupton, currently an Instrumental Specialist for the Caddo Parish School Board and President-Elect of the Louisiana Music Educators Association, is the 2017 Inductee in the LMEA Hall of Fame. A lifelong resident of Louisiana, Mrs. Lupton is a graduate of Airline High School in Bossier City. After high school graduation, she attended Northwestern State University in Natchitoches, later earning the Bachelor of Music Education degree from Centenary College in Shreveport. Carol’s teaching career began in rural Caddo parish at Oil City Elementary/Middle School. After a brief hiatus from teaching, she was asked to join the fine arts staff at Greenacres Middle School in Bossier City as a general music instructor. While teaching at GMS she also became an Associate Director with the Greenacres Middle School Band. Following her time at Greenacres she returned to Caddo Parish Schools, accepting a position as Director of Bands at Ridgewood Middle School. During her 18-year tenure at Ridgewood she was able to rebuild an award-winning program that established itself as one of the leading middle school band programs in District VIII. In addition to accepting the position at Ridgewood she was also elected by her colleagues to a position on the LMEA Board of Directors as the District VIII Director. Mary Yvonne Zeno is the current Principal of Ovey Comeaux High School in Lafayette, Louisiana. Prior to her appointment as Principal at Comeaux High School, Ms. Zeno served in a variety of teaching and administrative positions in Lafayette Parish, including an assignment as assistant principal at Lafayette High School. Mary Yvonne Zeno represents the best in Louisiana administrators. She possesses a visionary philosophy that places a high priority on both academic achievement and student engagement in music and the arts. Her innovative and unique scheduling techniques have enabled her schools to achieve high academic standards while giving tremendous support to the arts. Mike Esneault is an Emmy award winning composer/arranger/pianist and educator. As an educator, he has been as an instructor in the East Baton Rouge Gifted and Talented Program for the past nineteen years. Within this program Mike focuses on many different areas of music with these young students including composition, jazz improvisation, arranging, and music technology. Mike has also taught at the New Orleans Center for the Creative Arts (NOCCA) and has also served as Professional Artist in Residence at Louisiana State University. In addition, Mike continues to give masterclasses around the US and abroad. Some of Mike’s former students include Jon Batiste, Troy “Trombone Shorty” Andrews and Sullivan Fortner. As a composer Mike has established a prolific career working in many mediums including television, motion pictures, radio, live concerts, and compact disc recordings. He has composed the music scores for over 30 PBS films and is currently working in the feature film arena. 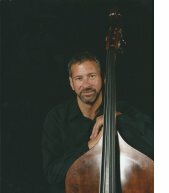 Jay Ecker holds a Master of Music in Double Bass Performance from Louisiana State University and a Bachelor of Music and Composition from McNeese State University. Has over 35 years of professional musical experience as a music educator, performer and recording musician. Jay spent most of his teaching career at Westlake High School in Southwest Louisiana where his Concert, Jazz, and Marching Bands were consistently rated superior at local, regional and national competitions. The Westlake High School Jazz Ensemble has the distinction of being the first winner of the Louisiana State Jazz Festival. Mr. Ecker has also taught at McNeese State University and Southeastern Louisiana University and is a sought-after clinician and judge in Louisiana and Texas. As a performer, Ecker has shared the stage with Peter Erskine, Gary Burton, Allen Vizzuti, Joey DeFrancesco, Ernie Watts, and Tom Scott to name a few. Six young music educators have been recognized for outstanding merit in music education. To qualify for this honor educators must have taught no more than 5 years and have served their students, communities and profession in an exemplary manner. The nominee must have enthusiasm for teaching, love for music, and a desire to further the musical education of his or her students. This year’s recipients are: Aaron Miller, Thibodaux High School; Jonah Slason, North Vermilion Middle and High Schools; Joshua Stearman, Mandeville High School; Keri Beth Powell, Caldwell Parish Junior and Senior High Schools; Robert Farmer, Lockport Middle School; and Austin Taylor, Lafayette High School.